Rear Admiral (U.H.) Ruggiero DI BIASE attended the Naval Academy from 1977 till 1981. He then “qualified” as Combat Information, Communication and Navigation Officer and spent the first part of his embarked career on board Units of the Second Corvette Squadron. After being “specialized” as “Communication and Operation Officer, he spent almost four years on board ITS SAGITTARIO, initially as head of the Communication and Navigation Component and then as Head of the Operation Service. In this period, in particular, ITS SAGITTARIO took part to the “Freedom of Navigation” Operations in the Persian Gulf, during the Iran-Iraq War (1988). From 1989 to 1992, he was assigned to the Staff of Taranto Maritime Jurisdiction High Command as head of the CIS and Naval Intelligence Office, being also appointed as Director of local Navy Primary COMMCEN. From 1993 to 1995, he was posted as Chief of the Communication and Navigation Training Branch at the Command in Chief of the Italian Fleet and NATO Command of the Central Mediterranean Sea. Later, he served as Executive Officer on board ITS GARIBALDI, then he had the honour to command the First Corvette Flotilla based in Augusta Naval base (Sicily). In January 2001, after one and half yearat the Personnel Department of the Navy General Staff,he was appointed as Head of the Communications Office at the CIS Department of the same Staff. 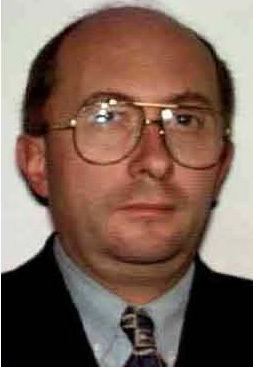 In September 2001, he moved for three years to Brussels, assigned to the Italian Delegation at the NATO HQ, where he served as National C3 Representative (NC3REP). Back to Italy, he was assigned as Commanding Officer of ITS MIMBELLI, from October 2004 to October 2005. The latter tour at sea was followed by the appointment as Head of the International Affairs Coordination Office at the C4I Systems & Transformation Department of the Italian Defence Joint General Staff. In this role he was also in charge of all the activities and programmes related to the Software Defined Radio, as well as the SATCOM programmes. 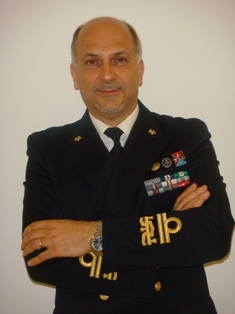 In July 2007 he was promoted Rear Admiral (L.A.) and in November 2007 assigned four another tour at sea as Deputy Commander of the Italian Navy “Power Projection” Naval Force (COMFORAL) and Deputy Commander of the Italian Maritime Component Command within the NATO Force Structure (COMITMARFOR). In this role he was double hatted, acting also as Commanding Officer of the Italian Navy “Rapid Reaction” Task Group (COGRUPNAVIT) and performing the role of national Commander Amphibious Task Force (CATF). As COMGRUPNAVIT, in the same period he served, in addition, as Commander of the Spanish – Italian Amphibious Force (SIAF), Commander of the EU Battle Group (based on SIAF framework) and, for two tours, respectively, from February to September 2008 and from June to September 2009, as Commander of the United Nation Interim Force in Lebanon - Maritime Task Force. 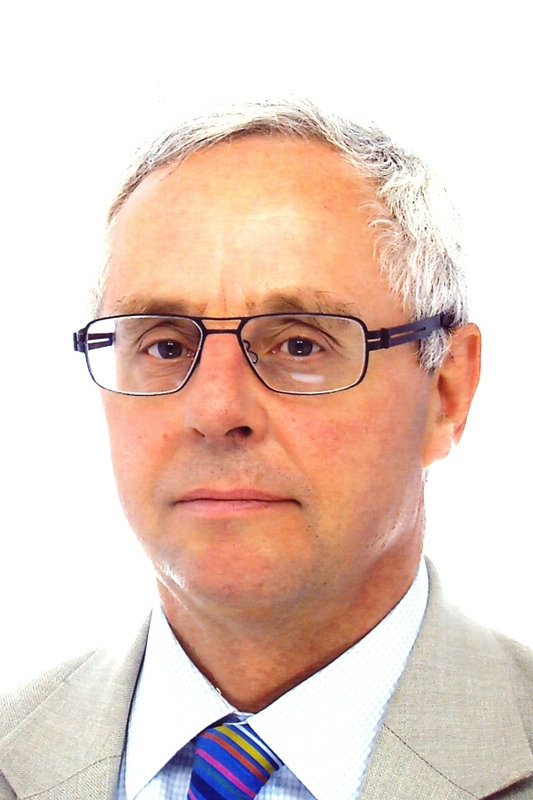 From September 2010 to August 2013, he was appointed as Deputy Head C4I Systems & Transformation Department at the Italian Defence Joint General Staff, fulfilling, among others, the task of National SDR Programme “Director”. From August 2013, he fills the post of “C4I Systems & Transformation” Division Head. 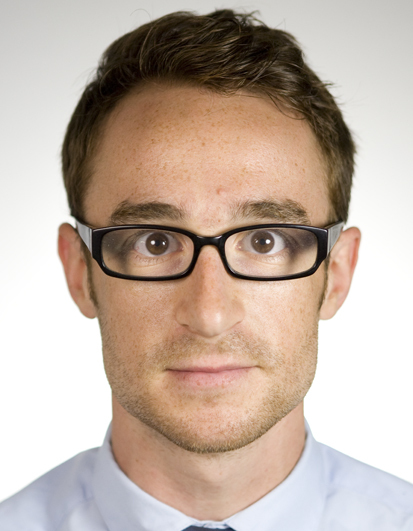 Dr. Oliver Holland is a Research Fellow at King’s College London. He was serving as Project Manager and Deputy Coordinator of the ICT-ACROPOLIS Network of Excellence (www.ict-acropolis.eu) from March 2012 until that project completed in December 2013, and he is currently working on the ICT-SOLDER project (www.ict-solder.eu) in parallel with continuing a number of ICT-ACROPOLIS ongoing initiatives. He is leading a major trial of TV White Spaces technology in the UK as part of the Ofcom TV White Spaces Pilot. Oliver is Treasurer and a Leadership Member of the IEEE Dynamic Spectrum Access Networks Standards Committee (DySPAN-SC), is Chair and member of IEEE 1900.1, Chair and member of IEEE 1900.6, and Vice-Chair and member of IEEE 1900.7. Oliver was a Technical Editor of the IEEE 1900.4 standard, was Technical Editor of the IEEE 1900.1a standard, and was a Technical Editor of the IEEE 1900.6a standard. He was a Management Committee member representing the UK for the recently-completed COST Actions IC0902 and IC0905 “TERRA”, holding various leadership positions therein. Oliver has served on the TPCs of all major conferences in the area of mobile and wireless communications, has served as Session Chair, Panellist and Invited Speaker at numerous conferences and events covering Green Radio and Cognitive Radio, among other topics, and frequently serves as reviewer for various prestigious international conferences and journals. 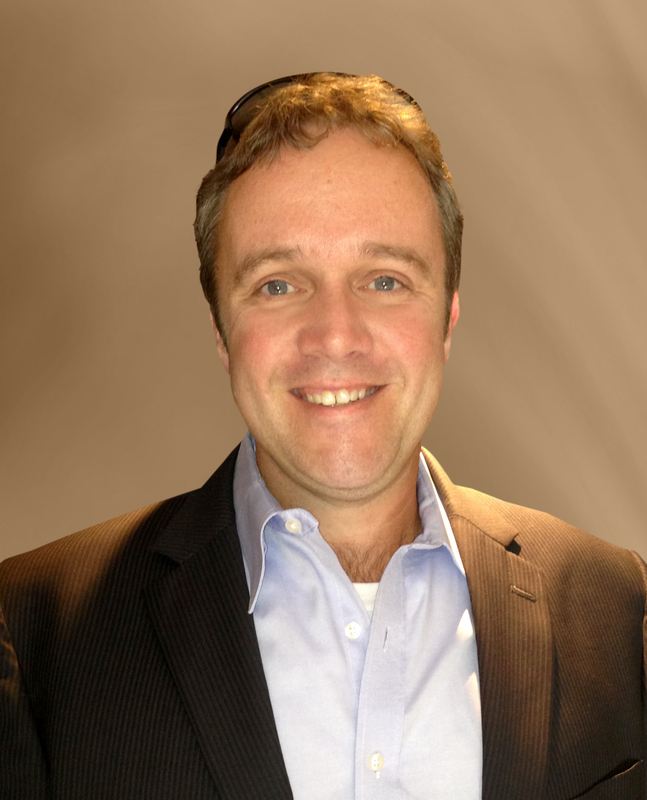 Oliver has assumed leadership positions in numerous International Workshops, Conferences, and Journals. 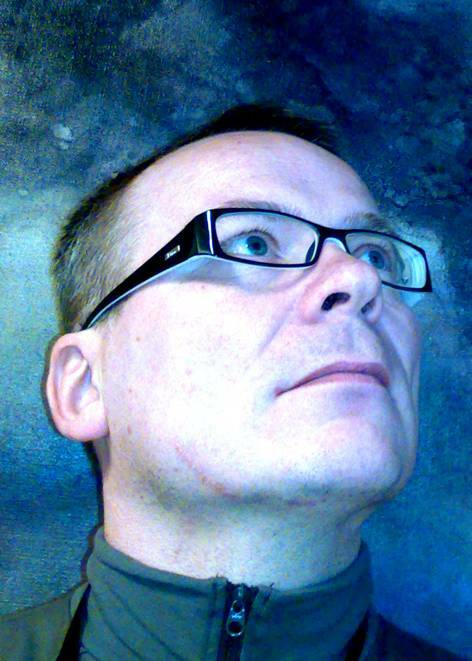 Oliver is an Editor of IEEE TVT, and he is an Officer of the IEEE Technical Committee on Cognitive Networks (TCCN) serving as liaison between TCCN and COST IC0905 “TERRA” and between TCCN and DySPAN-SC. He is currently Chair of the UKRI Chapter of the IEEE VTS. Oliver has co-authored over 130 publications; the 124 of his publications that Google Scholar currently locates have been cited more than 750 times. He has co-edited two books covering topics such as spectrum sharing, TV white spaces and cognitive radio. Brigadier General of the Army Corps of Engineers Giampaolo LILLO started his career as Chief of the Test and Study Section of the Land ammunition military factory in Baiano di Spoleto. Afterward, he was Director of the Land Artillery missile Section of the General Directorate of Land Armament of the Ministry of Defence. In Paris, he was involved in the development program of the anti-aircraft weapon system FSAF in the French-Italian program office. Back in Rome, he was in charge of research strategy and Defence technology research planning and management by covering the tasks such as, R&T Strategy Office Chief, Deputy Chief Department, Chief Department and R&T Director at the Research and Technology Department of General Secretariat and National Armament Directorate of IT MOD. 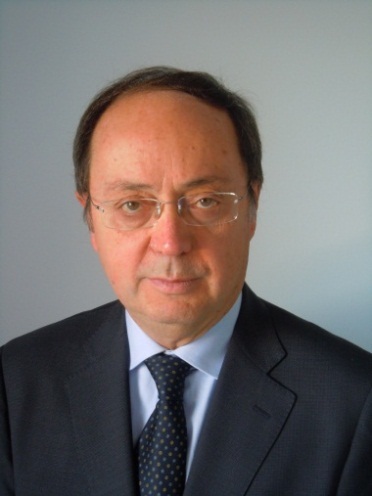 He is member of the Ministerial Commission for the supervision of management of the National Aerospace Research Program (PRORA) and of the National Centre for Aerospace Research (CIRA) and Member of the professional Engineers association of Rome. 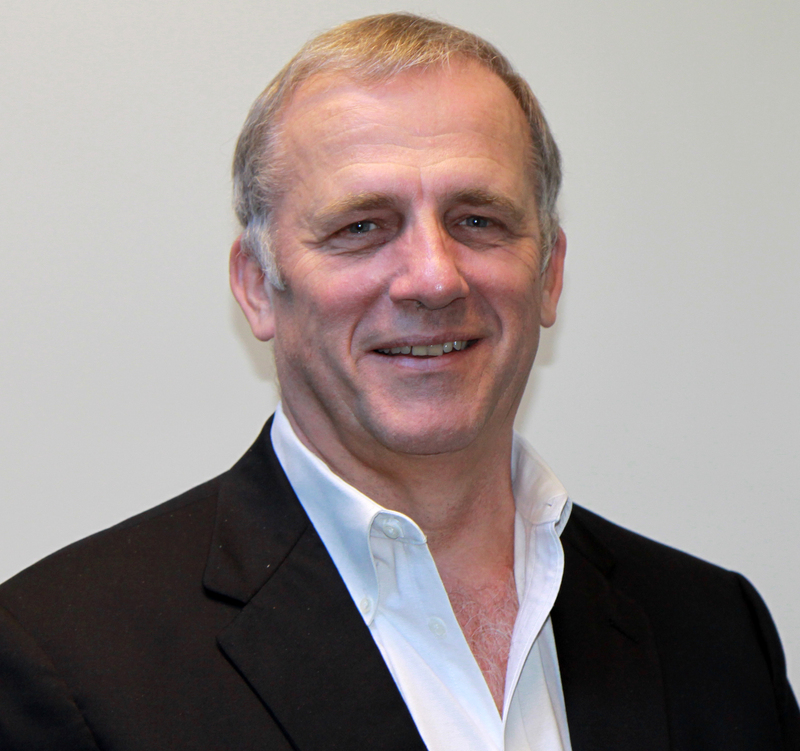 John McHale, Group Editorial Director of Military Embedded Systems magazine and Executive Vice President of OpenSystems Media, has been covering defense and aerospace technology for nearly 20 years. During that time he also led and launched magazines, websites, and e-newsletters focused on homeland security and avionics, as well as a defense publication and website in Europe. John also headed military and avionics conferences in Europe and the US during the last decade. He has a Masters of Science in Journalism from Boston University and still resides in the Boston area. About Dr. Mitola: Recognized globally as “the Godfather” of software radio and cognitive radio technologies on which dynamic spectrum access (DSA) and spectrum sharing are based, Dr. Mitola assists non-conflicted government and commercial entities as consultant, expert witness, and technical innovator in next generation national security and commercial information systems. Known for Software Radio Architecture (IEEE May 1995 and Wiley 2000) and Cognitive Radio Architecture (KTH, 1998; Wiley,2006) Dr. Mitola was Vice President for the Research Enterprise of Stevens Institute of Technology, Hoboken, NJ (2008-2012). Between (1993-2008) with The MITRE Corporation, he was Chief Scientist of MITRE’s DoD FFRDC; Special Assistant to the Director of the US Defense Advanced Research Projects Agency (DARPA); DARPA Program Manager; and Technical Advisor to the Executive Office of the President of the United States. Earlier in his career (1974-1993) Dr. Mitola held positions of technical leadership with E-Systems, Harris Corporation, Advanced Decision Systems, and ITT Corporation. He began his career with DoD in 1967. His academic credentials include B.S. EE (Northeastern University, Boston, 1971); M.S.E. in stochastic optimal control (The Johns Hopkins University, Baltimore, MD, 1974); and Licentiate and Doctorate in teleinformatics (KTH, The Royal Institute of Technology, Stockholm, Sweden. 2000). Currently as Chief Product Scientist for Federated Wireless Dr. Mitola leads radio systems engineering in cutting edge commercial products for government-commercial spectrum sharing. 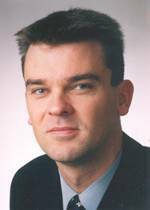 About Mr. Pascht: ANDREAS PASCHT is head of the Narrow/Broadband RF Transceiver/Amplifier Department within the Bell Labs Wireless Access Research Domain in Stuttgart, Germany. The department is dealing with signal conditioning issues, transceiver architectures, and power amplification concepts for narrowband and broadband transceiver solutions. He received the Dipl.-Ing. and the Ph.D. degree in electrical engineering at the University of Stuttgart, Germany. Dr. Pascht’s early work at Alcatel-Lucent included leading a transceiver team in the wireless area. Following that, he led the technology research for an internal venture for software-defined radio. After transferring these results into the business group, he became unit manager for transceiver topics within the wireless research organization. Keynote Abstract: Today’s mobile radio is characterized by a plurality of mobile radio frequency bands e.g. in the range of 700 MHz up to 4 GHz, used by different mobile radio standards e.g. of second, third and fourth generation (GSM, UMTS, LTE, etc.). Future 5th generation of mobile radio, which is currently under definition, will make this situation even more multifaceted and challenging to handle by the network equipment. In order to deal with this situation, among others, sustainable flexible and energy efficient RF transceiver solutions are required in future. This means a clear challenge on future RF transceiver concepts and components, since today’s RF transceivers suffer from analog imperfections and bandwidth limitations of used components. Mr. Seppo is currently Sr. Principal Innovator at the Network business of Nokia. Seppo's been with Nokia for 25 years. First a couple of years in the Nokia cables which was a backbone of Nokia for many years before wireless challenge took over. During the next nine years at Nokia Mobile Phones and Industrial Electronics (LK-Products) his passion was to make radios happen for the 1st and 2nd generation mobile systems holding a variety of positions from researcher to R&D and business management. Around 16 years ago high technological challenge and opportunities in 3G networks inspired him to join Nokia Networks R&D were he recent years headed wireless technology research. During the Nokia Siemens Networks merger he took a new challenge in NSN's Innovations team to scout for the best technology-driven business adventures and help turn them into NSN success stories. His current focus is innovating in the area of Future Radios with Cognitive Radio Business opportunities and potential disruptions as an important aspect to scout. Seppo's current mission is not so much to see what no one yet has seen, but to think what nobody yet has thought about that which everybody sees - Discovering, transforming, incubating and accelerating into new Nokia businesses. He holds a master of science degree in electrical engineering from the University of Oulu and has done his post graduate studies in the area of telecommunication and radio technology. He holds several patents in the area of radio technology and enjoys discussing with the research community through lecturing and project collaboration. Mr. Barfoot manages the branch in NATO HQs responsible for orchestrating developments in interoperability and capability in communications, identification and navigation. The branch supports three NATO committees principally dealing with multinational interoperability in these three areas. Rick’s current focus is leading on communications systems, particularly in the tactical environment. This includes tactical IP networks, waveform interoperability, and exploitation of software defined radio technology and the application of security technology to communications systems. Prior to working at NATO HQs Rick has worked on enterprise architectures in one of NATO’s technical agencies, led, managed and conducted research in UKs defence research agency, then DERA, and served for 16 years in the British Army’s Royal Signals. 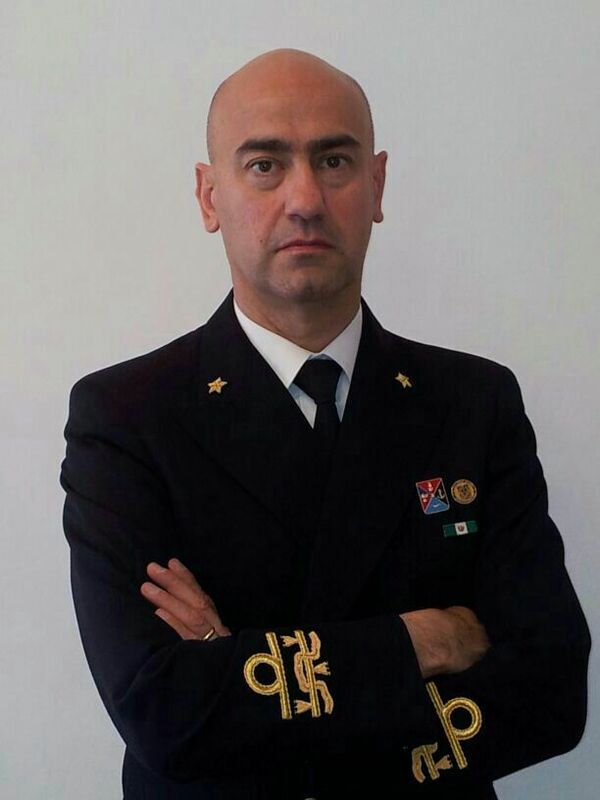 Since September 2013, REAR ADMIRAL (LH) Davide GABRIELLI has been appointed as Deputy Head of the C4I Systems and Transformation Division of the Italian Defense General Staff, and as SDR ITA National Programme Director. Before, in the same Division he held the position of Telecommunications Systems Branch Head. in international programs, he has appointed as Chief of the Fire Control System Division at the Multinational FSAF (Family of Future Anti Air Systems) Program Office and Fire Control System Desk Manager at the Multinational PAAMS (Principal Anti Air Missile System) Program Office. In the past, during the on-board period, he served on cruisers Caio DUILIO and Andrea DORIA, as Technical Officer for Weapons Systems. Christian is Technical Director of a4ESSOR S.A.S., the industrial organization in charge of managing the ESSOR Program which defines and develops interoperable secure military SDR architecture and waveform for the MoDs of France, Finland, Italy, Poland, Spain and Sweden. Through these activities, Christian is greatly involved in establishing Research and Developments Programs on SDR, in close relationship with the French and European Administrations, Industries, MoDs and the Research and Academic communities. Christian chaired from 2005 to 2007 the Software Defined Radio Forum (SDR Forum), now the Wireless Innovation Forum. Christian received his degrees in telecommunication from the French Engineering School, “Institut National des Sciences Appliques”. Tobias Nachtsheim received his Master Degree in Electrical Engineering in 2011 from University of Applied Science Koblenz. He joined the German Bundeswehr in 2011. Since 2013 he is responsible for all topics related to waveforms and waveform development in the German software defined radio program (SVFuA).